← 047 "I Married Marge"
"We're sending our love down the well!" 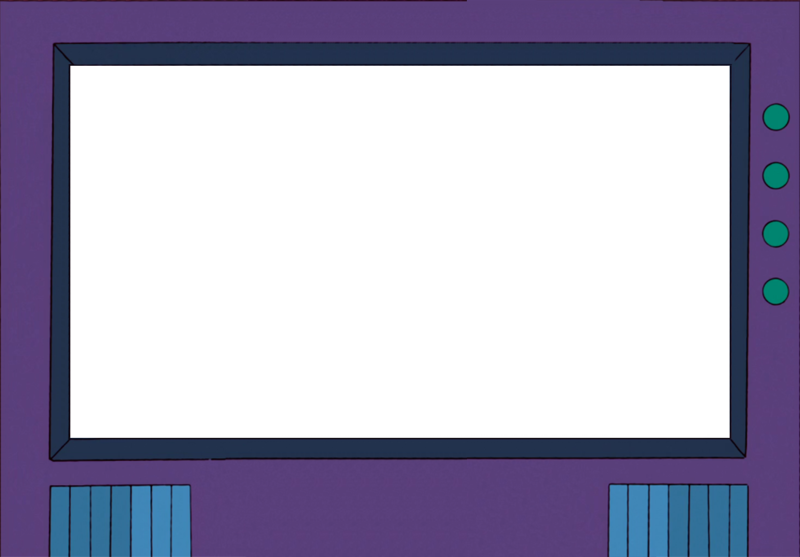 Radio Bart is the thirteenth episode of season 3. It originally aired on January 9, 1992. The episode was written by Jon Vitti and directed by Carlos Baeza. Sting guest voices, appearing as himself. "It's Bart's tenth birthday, and one of his presents is a radio microphone, which he promptly uses to play practical jokes on everyone. Things spin out of control, however, when Bart pranks Groundskeeper Willie by making him think a little boy named Timmy O'Toole has fallen down a local well, and the whole town ends up getting involved." Homer doesn't know what to get Bart for his birthday. He sees an ad on TV for the Superstar Celebrity Microphone, which can be used to send voices over the radio. Homer jumps on the idea and orders one for Bart's birthday. However, at his birthday party (held at Wall E. Weasel's), Bart is less than enthralled by it, and is unenthusiastic about his other gifts as well. He ends up showing the most interest in the label-maker that Patty and Selma get him, and uses it to put "Property of Bart Simpson" labels on many things in the house, including a radio, a can of beer (to Homer's dismay), and Santa's Little Helper. Homer tries to show Bart how great the microphone is, but Bart isn't convinced, largely due to Homer's loud-voiced demonstrations producing massive amounts of distortion and feedback over the radio. However, Marge also tries it out (keeping her voice down), and Bart is sold and decides to have a little fun of his own with the microphone. 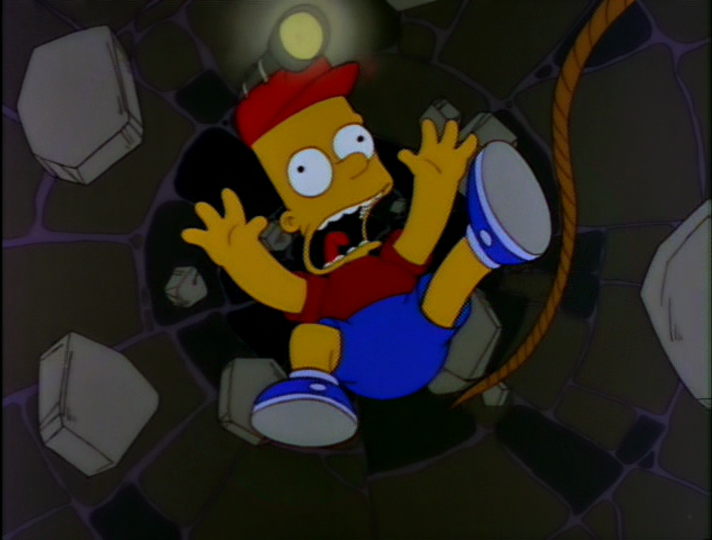 After trying it out on a few unsuspecting victims (among other pranks, he manages to make Rod and Todd Flanders believe that God is talking to them through the radio), Bart lowers his radio down into an old, abandoned well and calls for help over the radio, pretending to be a boy who has fallen into the well. Groundskeeper Willie falls for the prank and tells the whole town about the boy in the well. Then a number of townspeople gather around the well, and Bart explains that he is an orphan named Timmy O'Toole. Due to the size of the well, none of the city's police force can fit inside it to go rescue Timmy, and they can't simply pull him out with a rope because (as "Timmy" explains) his foot is caught under a rock. A number of townsfolk attempt to come up with solutions to free the boy. 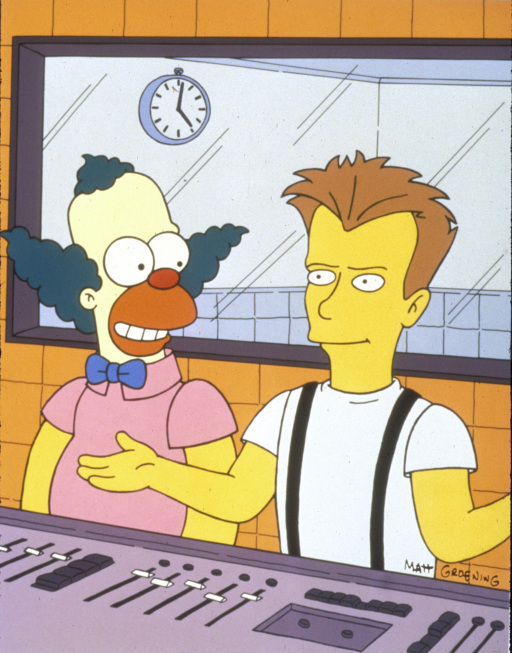 A carnival is held near the well to benefit Timmy O'Toole, and Krusty the Clown decides to work with musician Sting to create a song called "We're Sending Our Love Down the Well", also as a benefit for Timmy. On TV, Channel 6 News provides frequent updates about Timmy, and an Itchy & Scratchy episode ("Cat Splat Fever") is dedicated to him. However, Bart's ruse is broken when Lisa sees him wrestling the microphone away from Santa's Little Helper. The dog's growls through the microphone make the townspeople believe that something is wrong with Timmy, and the local news immediately reports on his "possibly feral condition". Lisa confronts Bart, warning him that his prank is going to end up backfiring. Bart scoffs at this, until he remembers that he used his label-maker to put a "Property of Bart Simpson" label on the radio in the well. Later that evening, Bart returns to the well to retrieve the radio, and attempts to climb down into the well using a rope. When Springfield Police Officers Lou and Eddie see the rope, they untie it, sending Bart plummeting down into the well, where his foot ends up trapped under a rock—much like the story he made up to fool everyone. Bart calls for help, and explains to Lou and Eddie about his prank. The two officers then decide to leave Bart in the well. The next day, Marge asks what the police are doing to help Bart. Chief Wiggum says that because Bart tricked the whole town, there is very little public support to help him. Mayor Quimby considers helping Bart, but in the wake of negative public opinion, he renounces his support and proclaims "Let him stay down there! ", which draws cheers from his brainwashed constituents. Later that evening, Marge and Homer return and drop a sweater down for Bart to wear. As Bart ponders his situation, and considers that he'll be trapped down in the well for the rest of his life, Homer is suddenly inspired to dig a tunnel to get Bart out. Before long, a number of other citizens (including Sting) have joined in the effort. After several days, they manage to reach Bart. Homer assures Bart that they'll make sure that no one else will ever fall down the well. The final shot shows Groundskeeper Willie posting a small sign nearby that says "Caution: Well" (instead of the more sensible option of just boarding up the well). As Willie finishes pounding the signpost into the ground, he says, "That should do it!" The episode's plot is inspired by the media frenzy around “Baby Jessica” McClure in 1987. Jessica, age 18 months, fell down a well in Midland, Texas and was rescued in a highly publicized incident. When this episode was being made, the producers approached Bruce Springsteen to appear. He rejected doing the episode, and got Sting to appear in his place. According to the DVD Commentary, the producers originally wanted Homer to sing "The Wreck of the Edmund Fitzgerald" by Gordon Lightfoot rather than "Convoy." Jon Vitti said the reason "Fitzgerald" was not used was because Lightfoot had signed over the rights to the song to the families of the 29 people who died on the ship. Using the song on TV would have required obtaining approvals from all 29 families, which was deemed too much trouble just to have Homer sing a couple of lines from the song. In one scene, Bart uses his radio to make Homer believe aliens are invading Earth, which prompts Homer to brandish a shotgun in panic. According to the commentary, Homer's original reaction was to mix Kool-Aid and rat poison, ostensibly to spare his family the horror of alien invasion. This was deemed too dark and was changed. In the DVD commentary for the episode, the staff expresses their disbelief that this episode lost the Emmy for animated program to Claymation Easter. Al Jean said they thought this episode or The Ren & Stimpy Show would win and were absolutely floored when neither did. David Silverman said he believes The Simpsons and Ren & Stimpy split the vote, allowing Claymation Easter to grab the Emmy. The Daily Telegraph characterized the episode as one of "The 10 Best Simpsons TV Episodes." Wikisimpsons has a collection of images related to "Radio Bart". Modified on July 9, 2017, at 08:27.